Daily Encouraging Great Inspirational Quotes, Inspirational Sayings and Slogans with Powerful Inspirational Videos and Best Inspirational Articles to Inspire You Every Day Bro. 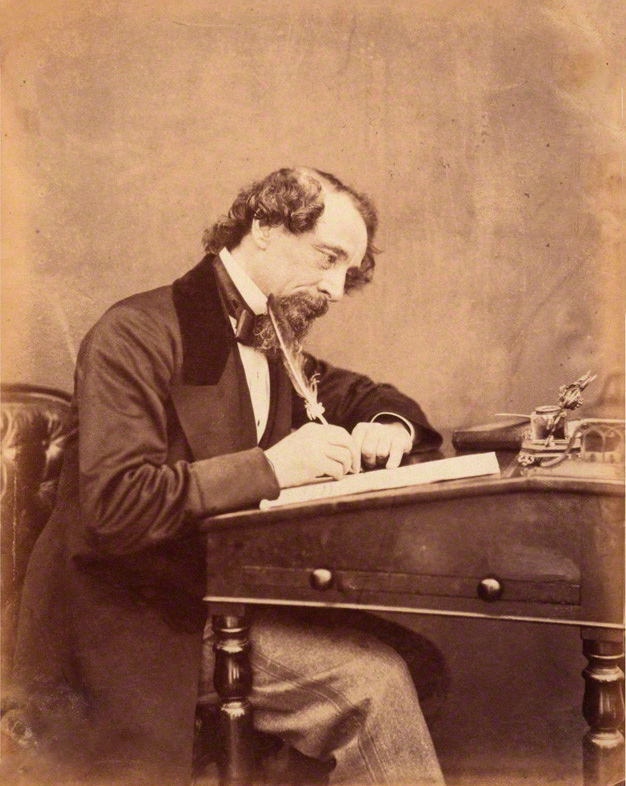 Charles Dickens is much loved for his great contribution to classic English literature. He was the quintessential Victorian author. His epic stories, vivid characters and exhaustive depiction of contemporary life are unforgettable. His own story is one of rags to riches. He was born in Portsmouth on 7 February 1812, to John and Elizabeth Dickens. The good fortune of being sent to school at the age of nine was short-lived because his father, inspiration for the character of Mr Micawber in 'David Copperfield', was imprisoned for bad debt. The entire family, apart from Charles, were sent to Marshalsea along with their patriarch. Charles was sent to work in Warren's blacking factory and endured appalling conditions as well as loneliness and despair. After three years he was returned to school, but the experience was never forgotten and became fictionalised in two of his better-known novels 'David Copperfield' and 'Great Expectations'. Like many others, he began his literary career as a journalist. His own father became a reporter and Charles began with the journals 'The Mirror of Parliament' and 'The True Sun'. Then in 1833 he became parliamentary journalist for The Morning Chronicle. With new contacts in the press he was able to publish a series of sketches under the pseudonym 'Boz'. In April 1836, he married Catherine Hogarth, daughter of George Hogarth who edited 'Sketches by Boz'. Within the same month came the publication of the highly successful 'Pickwick Papers', and from that point on there was no looking back for Dickens. As well as a huge list of novels he published autobiography, edited weekly periodicals including 'Household Words' and 'All Year Round', wrote travel books and administered charitable organisations. He was also a theatre enthusiast, wrote plays and performed before Queen Victoria in 1851. His energy was inexhaustible and he spent much time abroad - for example lecturing against slavery in the United States and touring Italy with companions Augustus Egg and Wilkie Collins, a contemporary writer who inspired Dickens' final unfinished novel 'The Mystery of Edwin Drood'. He was estranged from his wife in 1858 after the birth of their ten children, but maintained relations with his mistress, the actress Ellen Ternan. He died of a stroke in 1870. He is buried at Westminster Abbey. There are books of which the backs and covers are by far the best parts. Have a heart that never hardens, and a temper that never tires, and a touch that never hurts. Heaven knows we need never be ashamed of our tears, for they are rain upon the blinding dust of earth, overlying our hard hearts. Suffering has been stronger than all other teaching, and has taught me to understand what your heart used to be. I have been bent and broken, but - I hope - into a better shape. No one is useless in this world who lightens the burdens of another. There is nothing in the world so irresistibly contagious as laughter and good humor. Charity begins at home, and justice begins next door. To a young heart everything is fun. My advice is to never do tomorrow what you can do today. Procrastination is the thief of time. Although a skillful flatterer is a most delightful companion if you have him all to yourself, his taste becomes very doubtful when he takes to complimenting other people. I do not know the American gentleman, God forgive me for putting two such words together. For it is good to be children sometimes, and never better than at Christmas, when its mighty Founder was a child Himself. It's my old girl that advises. She has the head. But I never own to it before her. Discipline must be maintained.